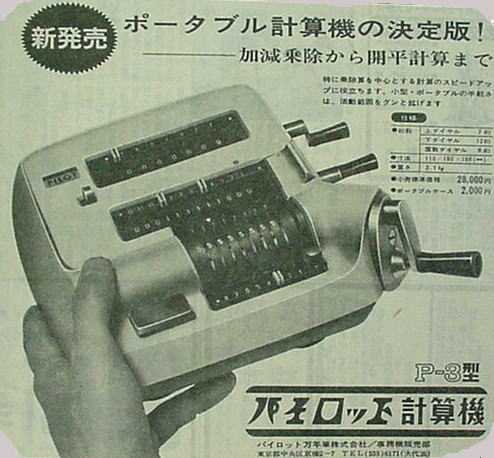 The Pilot P-1 was a highly portable mechancial calculator made in Japan. While not well known among collectors, the Pilot is one of my all time favorites for its small size and elegant styling. The shape is similar to that of the Brunsviga Model 10, and I have seen comments that it must be a knockoff imitation. However, this machine uses a pinwheel mechanism (the entry sliders rotate as the machine is cranked) whereas the Model 10 is of the stepped drum variety. Also the Pilot is smaller and lighter than the Brunsviga, and has superior precision. It certainly ranks among the best mechanical calculators for performance per size and weight (with due honors to the Curta and Alpina). 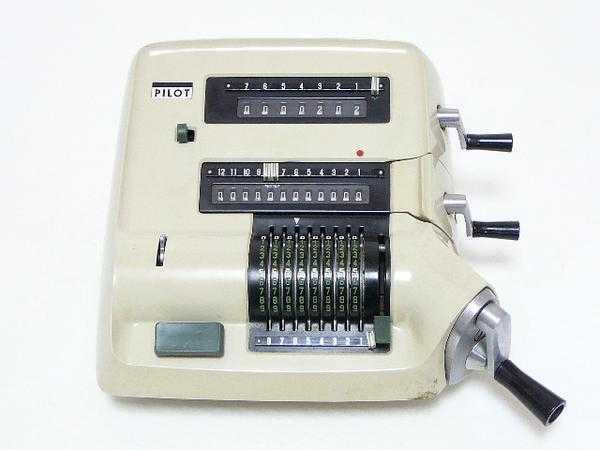 The Pilot P-1, introduced in 1961, was made in Japan by the well-known Pilot stationary company, and previously to that, by Keybar Corp (as the model A-1, circa 1957). There also was a later (see below) introduced in 1967. All production ceased in 1969. These relatively portable computing machines were frequently used in car rally competitions (which is also true of the famous Curta Calculator - System Curt Herzstark) in order to compute drive times mileage and schedules. 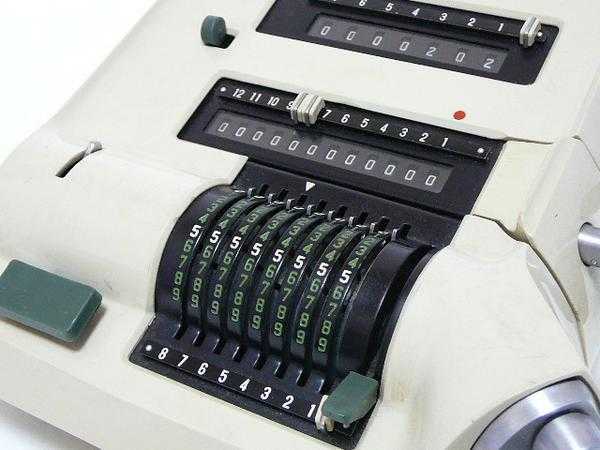 Here's a link to The History of Japanese Mechanical Calculating Machines.